I know that I can close a notebook and open it again in order to remove the In/Out labels. What I would like to know is if there is another easy way of removing these labels without having to close the notebook. Actually I just want to hide them from my printouts. It seems to me like it should be a printing option, but I can't find it. If you are unfamiliar with editing style sheets that latter option is probably the best. You could uncheck ShowCellLabel under Cell Options > Cell Labels in the Option Inspector. 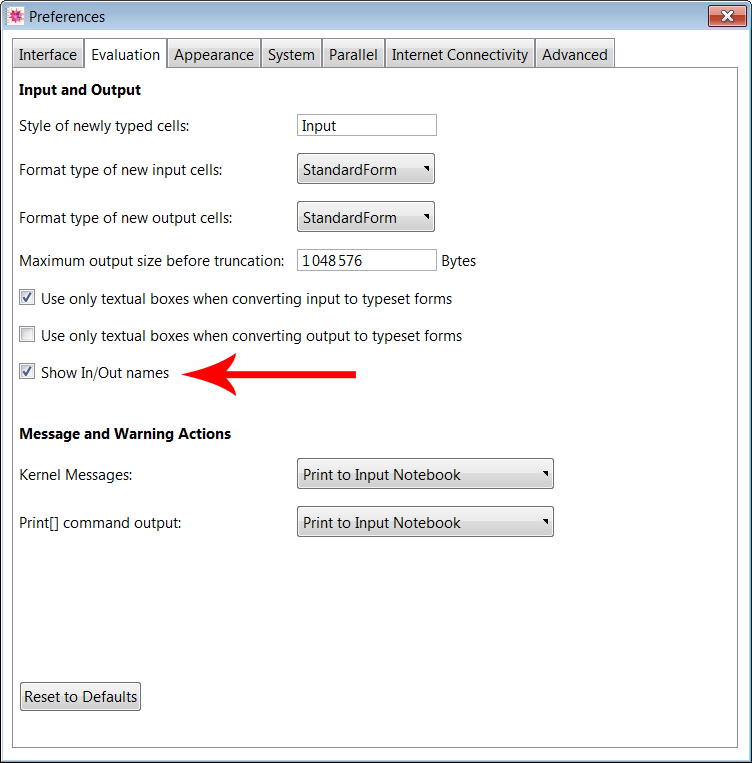 If you only want to turn off input and output cells in the printing environment, you could edit the style sheet of the document. In order to do that you choose Edit Stylesheet... in the format menu. Uncheck Show Expression and repeat for the "Output" style in the Printout style environment. Not the answer you're looking for? Browse other questions tagged formatting printing or ask your own question. Can I use what “headerlines” removes from a CSV as TableHeadings for the table I create from that File? Version 11 cannot print properly? Magnification, ScreenResolution, ScreenInformation and Printing: Please shine some Light into it! How can one programatically change Magnification or select others than offered?